Buying a used car, let alone a cheap used sports car can be a fairly daunting task. The goal of this article is to help you identify some of the best used sports cars you can get today for under 10k based on past sales in the last 3 months. 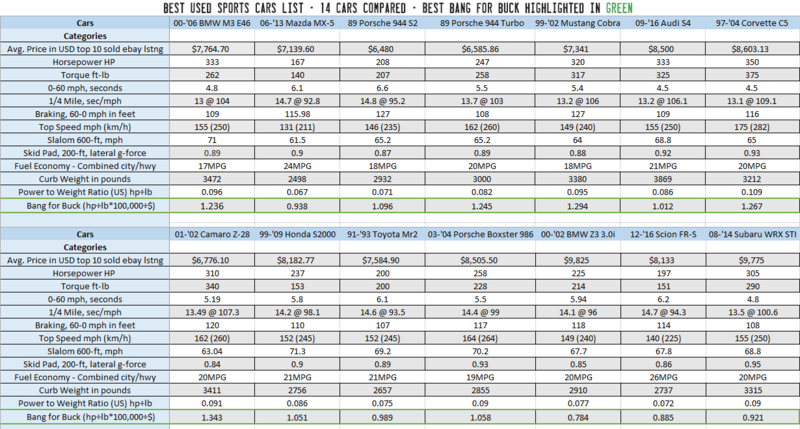 Here is The Best Used Sports Cars chart, comparing performance, price (average of last 10 sold vehicles on eBay) and a quick glance of the power to weight ratio compared against the average cost of these cars. The larger the number in the last row for each vehicle, the better the value. The final values were multiplied by 100,000 to make the final numbers look nicer. 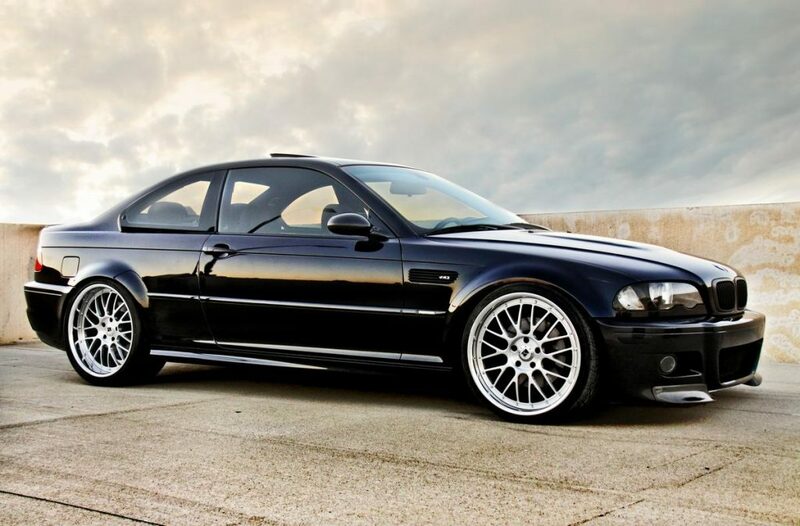 First on our list is the 2000 – 2006 BMW M3, factory code-named E46. Now, after creating this list it became crystal clear to me that I need to own one of these and it is actually the next sports car I plan to buy. 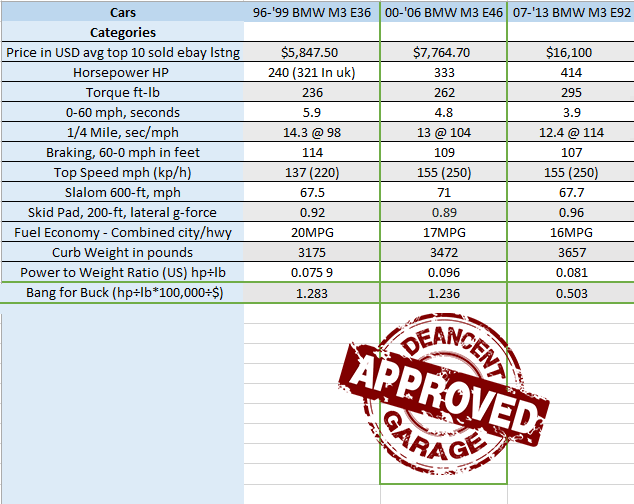 It is not the best bang for the buck which you can see from this Best Used Sports Cars chart but with everything this car has going for it, it is the reason the M3 is at the top of the list. All I can say is good job BMW. From the smooth body lines to the mildly aggressive wheel arches covering the large 19 inches wheels. Just the way this car looks sitting still is not anything less than perfect. The M3 is a high-performance version of the 3-series BMW developed by BMW’s in-house motorsport division. The M3 has many improvements over the standard 3-series such as a number of upgrades to the engine, improved handling/suspension/braking systems, cosmetic & aerodynamic body enhancements, lightweight components and most obvious part, the tri-color M3 emblem. With a near fire-breathing 333hp engine under the hood to push the 3400lb car over the 1/4 mile mark in just 13 seconds (that’s faster than a 2008 Ferrari California and a 2013 V8 Dodge Challenger), this BMW is one for the books. With over 10 examples being sold for well under $10,000 on eBay in just the past 3 months, this is the deal of the century. Yes the 2007 – 2013 BMW M3 E92 and even the 1996 – 1999 BMW M3 E36 are both great M3’s but the 2007-2013 M3’s go for well over $10,000, while the 1996 to 1999 M3’s do provide slightly better “bang for your buck”. The E36 M3’s are selling for only a couple thousand less than the E46 M3’s but are offering much less performance in return. For these reasons, I would personally go with the ’00-’06 M3 E46. Check out the below chart for a quick comparison. Window Regulator failure – Watch for slow operation, listen for faint cracking noise. What best used sports cars list would be complete without the mention of the Chevrolet Corvette? Specifically, the 1997 – 2004 Corvette C5. This may be surprising to some but the Corvette C5 is the second cheapest per horsepower car on the list. You can get a 350 horsepower vehicle for an average cost of $8603 on eBay, that works out to only $24.03 per horsepower, not bad chevy, not bad at all. The low stanced, missile looking beast can take off from 0-60 in under 4.5 seconds, that’s 0.3 seconds quicker than the M3. It will consume the quarter mile in 13.1 seconds at a staggering 109 miles an hour. If you’re looking for performance upgrades, particularly from the engine, check the Camaro LS1 parts bin to avoid the ‘Corvette tax‘ same engines, same internals, save some cash. What makes this so quick? It really comes down to two main parts. Part 1 is thanks to the finely tuned LS1 V8 engine and part 2 is due to it being only 3212 lbs. GM was able to make the Corvette C5 so light by incorporating a comparatively rare technology called hydroforming, which allowed them to combine what used to be 36 separate welded pieces into one solid, lighter frame. Materials like fiberglass, aluminum, magnesium, and even balsa wood in the door panels were also used to shed weight. But what is it like on the track? Fast. It not only can keep up with new Porsches but they will actually be waving you by often. GM spent a lot of time tuning this car for the track, and when they made the decision to mount the transmission in the rear of the car like Porsche did the 944 to get as close to a 50/50 weight distribution, it was game on. That’s why the Corvette race team ran the C5 for years. Also, they’re much cheaper to maintain and even upgrade than other similar performing vehicles. Not nearly as common as the BMW or Corvette but a valuable powerhouse no less. When new, these cars were being sold for $47,600… in 1989… in today’s money that’s equivalent to about $97,000. 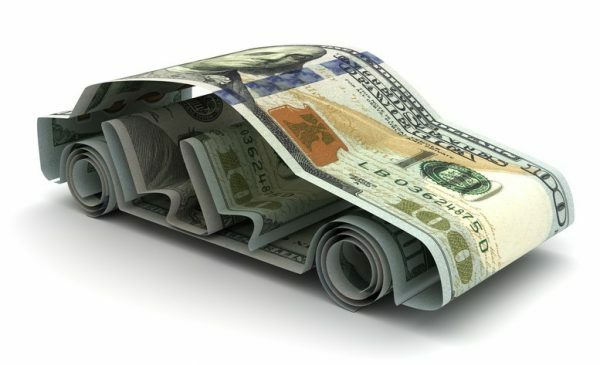 Does owning a vehicle which the original value was close to $100,000 dollars for under $10,000 sound appealing? It does to me and luckily you can. Several 944 turbos have sold in the past three months for an average of $6585, check out current listings here. At first glance, these may look a lot like a 1989 Mazda RX-7 but I assure you the shape is where the similarities begin and abruptly end. Porsche spent a lot of time tuning this car into the performance powerhouse it is and it shows. Weighing in at 3000lbs with a near perfect 50/50 weight distribution thanks to a rear-mounted transmission, combined with a limited slip differential and turbocharged 2.5 litre 4 cylinder engine, this car is a force to be reckoned with on and off the track. The 944 Turbo can reach 60 miles an hour in 5.5 seconds and destroys the 1/4 mile in 13.7 seconds at 103 miles an hour, that’s faster than half of the cars on the Best Used Sports Cars chart. Not at all bad for a 30-year-old car. 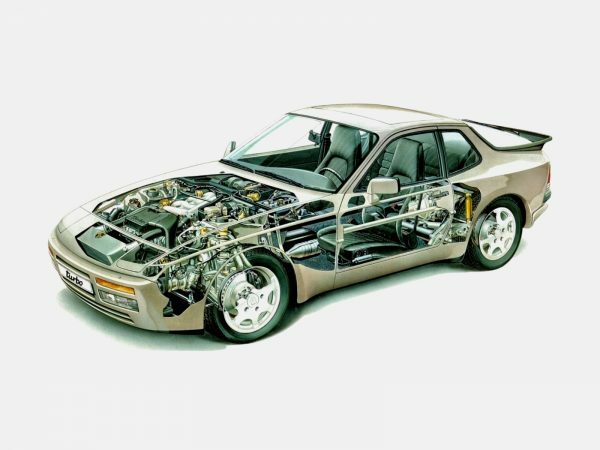 The 944 Turbo was actually inline to replace the 911 back in the 80s and Porsche was really putting a lot of R&D in the 944. That was apparent performance wise, the 944 was really stepping on the 911’s toes and a magazine actually compared the two showing the 944 briefly dethroning the 911 until Porsche killed the 944 off in 1991. Being a 30-year-old car there are definitely some things you want to keep in mind and look out for such as the rubber fuel hoses in the engine bay that run over just above the exhaust header… great design Porsche. These can crack and should be replaced immediately. Most people think these would be expensive to fix and maintain but are not actually all that bad if you’re able to do the work yourself. If you plan to have a mechanic look after all of the issues that creep up from time to time, you may want to look elsewhere. 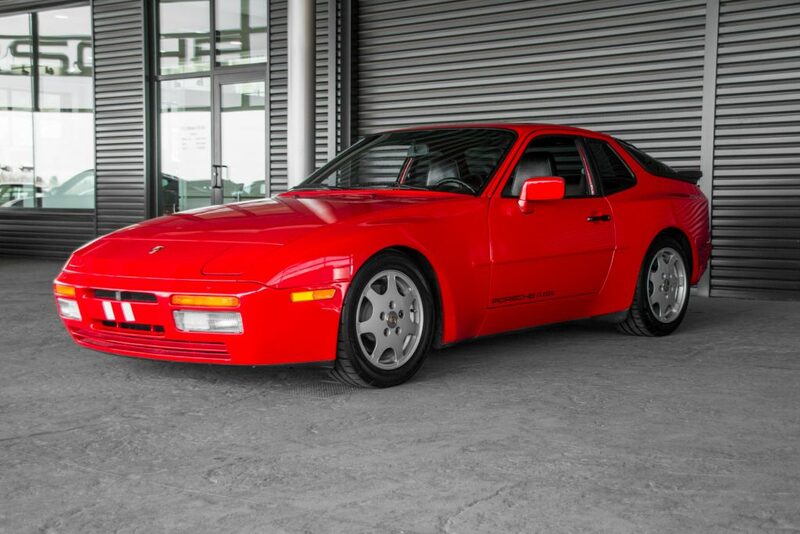 Check out the below post for detailed information on the Porsche 944 Turbo. Opt for an 88 turbo S or an 89 Turbo, many upgrades over the previous 944 turbos that would cost you thousands and many hours if upgraded yourself. Timing belt and water pump should be replaced every two years. The engine is an interference engine, meaning if the belt snaps you’ll likely have bent valves or worse. Make sure you are getting a complete car and all plates, shields, liners etc are in place. Also, a service history is nearly a must. The Mazda Miata has been around for a while, now known as the MX-5, which has given Mazda plenty of time to improve on the platform. I wouldn’t say they’ve come a long way though, as their updates to the car are usually fairly subtle and few and far between. This, however, has proved to work in their favor as they’ve created an incredibly fun car to drive that isn’t going to break the bank as can be seen here. 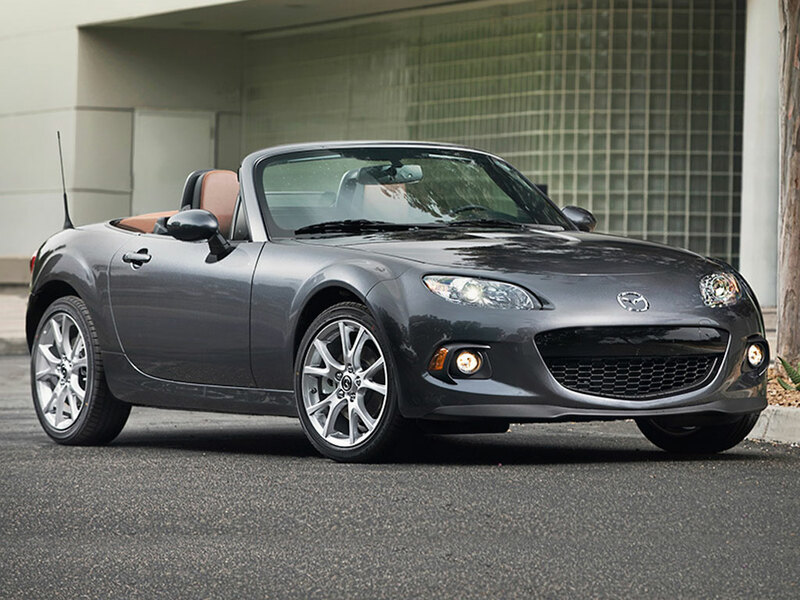 Although the MX-5 is the lowest horse-powered car on this list with only 167hp under the hood it is still able to output some pretty impressive numbers, this is mostly thanks to a good tune and weighing in at only 2500lbs, that’s 160lbs lighter than the second lightest car on the Best Used Sports Cars chart. The MX-5 can reach 60 miles per hour in 6.1 seconds and completes the quarter mile in 14.7 seconds at 92.8 miles per hour. If you’re planning on taking your MX-5 to the track you may find some upgrades will be in order after your first run. Luckily there are a lot of aftermarket upgrades as these are common vehicles to upgrade worldwide. Some easy and fairly inexpensive upgrades would be a cold air intake, exhaust, suspension and tires. The MX-5 is known to be easy to work on, cheap to maintain and inexpensive to obtain. This makes for a great first sports car to learn how to drive and to work on. Pretty much the MX-5 itself, these are often missed in traffic and chances of getting cut-off while driving one tends to increase in comparison to other cars thanks it’s small footprint. Other than that, these cars are incredibly reliable, and they don’t have any widespread issues. 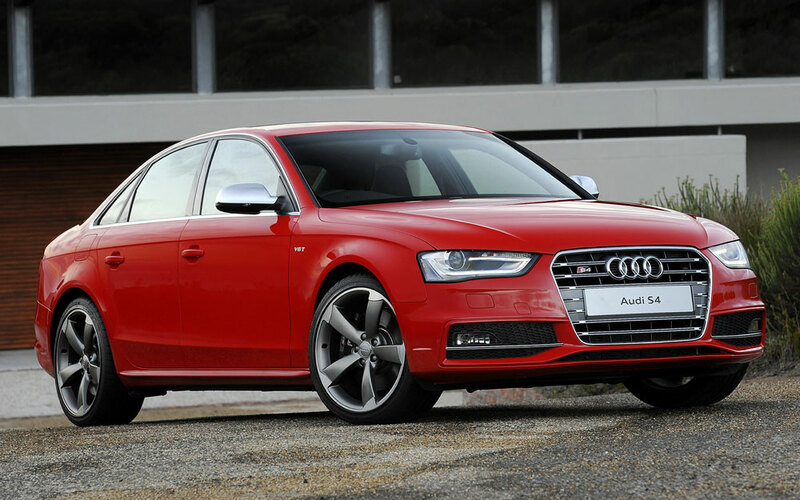 The Audi S4 may look like a typical family sedan to some but rest assured there is nothing typical about this sleeper. The 2009 – 2016 model year Audi S4 boasts a 333-hp and 325 ft-lbs of torque supercharged V-6 under the hood. Featuring a dual-clutch transmission and all-wheel-drive system which launches the S4 from 0 to 60mph in 4.5 seconds, that’s on par with the Corvette C5 as seen here on the Best Used Sports Cars chart. It is rather impressive the S4 performs as well as it does since it weighs nearly 3900lbs, that’s over 600lbs heavier than the Corvette C-5 and it has 17 less horsepower than the Corvette yet is still able to match the Corvettes performance in the quarter mile and 0-60. This has a lot to do with when you hammer on the gas, you get traction all day due to the all-wheel-drive. The S4 is going to be hard to get for under 10K but if eBay’s recently sold auctions have any indication on the matter you can see it is possible. You just may have to set up notifications to get the jump on any new listings. Two recently sold for under 10K a week apart from each other. That’s a lot of car for not a lot of coin. If you do plan to get an Audi S4, be prepared to do your homework. 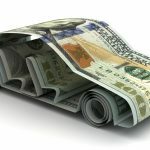 These are far from the cheapest cars on this list to own, purchase price and maintenance wise. So, be sure to get all service history and a carfax to avoid any surprises. Thirsty, but what can you expect from a 1/4 mile hungry car? If you do plan to get an Audi S4, be prepared to do your homework. These are far from the cheapest cars on this list to own, purchase price and maintenance wise. So be sure to get all service history and a carfax to avoid any surprises. Around 70-80k miles is when some of the engines develop noticeable issues, specifically timing chain guides. Ask if the owner has had the repair done yet and to provide proof, if not factor this repair into your purchase price north of $5000 if you are planning to have a mechanic look after this for you. Don’t let the timing chain scare you from purchasing one, past that, they are very reliable and a lot of fun to drive. A rally car made for the road. 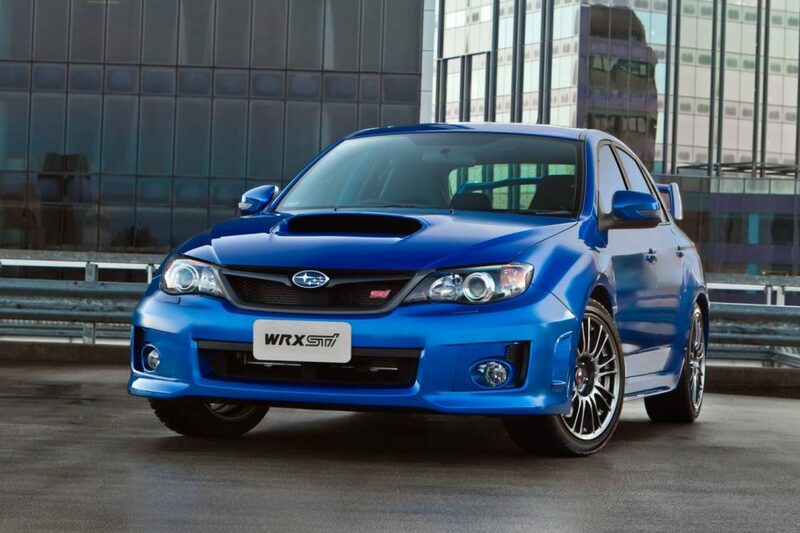 That’s what you get with the 2008 – 2014 Subaru WRX STI. With its roots coming from early 80s rally racing, this car can go through snow, mud and flooded roadways because you know… flooded roadways are a typical obstacle you would come across. Not only can it do all of the above but it does it really well and is nothing short of a riot to be behind the wheel of. The WRX STI has a 305 horsepower boxer engine under the hood launching the Subie from 0-60 in a short 4.8 seconds. Thanks to the AWD system and quick launches the WRX STI can tear down the 1/4 mile in 13.5 seconds at 100.6mph, that’s faster than a Porsche Boxster. With the rival between Mitsubishi and Subaru, it really pushed Subaru to push the envelope in the performance department. Great for us… mostly, but not so great for Subaru, we’ll get to that in a moment. With some examples going for less than $10,000 on eBay, you can sure have a great performing track beast on your hands for not a lot of coin, keeping it running though may be another story. With an upgraded transmission, differential, and chassis stiffening over the non-STI WRX this too would be tough to break, or is it? With constantly being pushed by their rival at Mitsubishi, Subaru was forced to continue upgrades to remain competitive. In 2008, that competition proved troublesome for Subaru as it appears some corners may have been cut to reach tight deadlines and some engine troubles started to surface, see below. Quite a few not so happy customers started to roll into the service departments and arguments at dealerships followed, the early third gen (2008 – 2009) WRX STI definitely had some issues. Burning oil like it was no one’s business but no low oil light indicating otherwise, engines were bound to fail and they did. At about 20-30k miles is when some owners started bringing their Subies in to get looked at. 2010+ WRX STIs seemed to mostly have this issue addressed and were rather very reliable, so don’t let the early 3rd gens hold you back from snapping up a good deal. Making its first appearance as a concept at the Tokyo Motor Show in 1995, the production version launched four years later for Honda’s 50th anniversary. The name S2000 comes from the engine displacement of two liters. That little two liter can scream all the way up to 8800rpm and loved being driven near cutoff. Producing 237hp and 153 ft-lbs of torque, this little 2.0 liter could launch the 2756lb S2000 from 0 to 60 mph in 5.2 seconds and down the 1/4 mile in 14.2 seconds at 98.1 mph. Being the quickest through the slalom and having the second-best skidpad numbers just behind the Audi S4 as seen on the Best Used Sports Cars chart, the S2000 can be quite the track beast. The S2000 made it on the best used sports cars list because of its lightweight, has a perfect 50/50 weight distribution thanks to the engine being mounted entirely behind the front axle and it has incredible maneuverability. 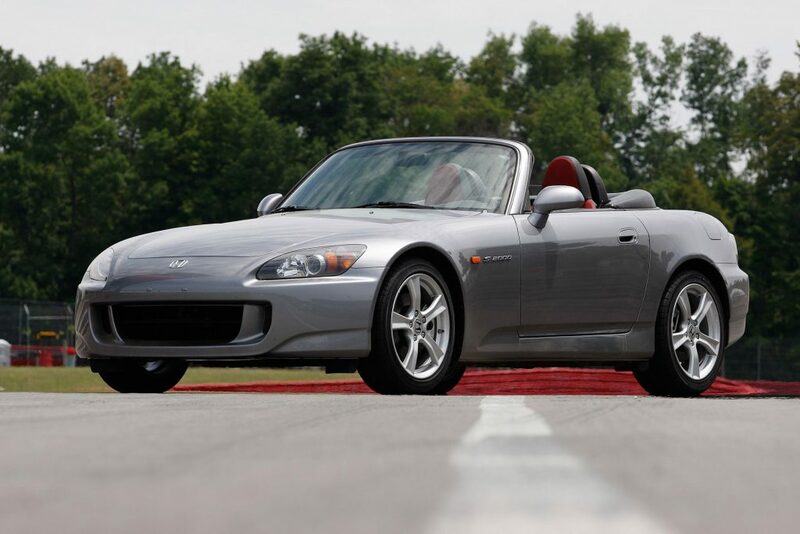 The S2000 is a great buy at under $10,000 with a few going for around $8182 on eBay. If you’re looking for more power and to be more competitive, the S2000 has a huge aftermarket and many bolt-on turbo and supercharger kits to fit most needs. Most of these kits also don’t require any internal engine work as the little 2 liter is good up to about 450hp before requiring any internal work to be completed as long as you have a good tune. The S2000 cars are very reliable and great performing cars but like any vehicle there are some things to watch out for. Some owners have reported their cars burn a lot of oil, especially in vtec. This is mostly evident in the 1999 to 2003 models. In most cases the installation of an oil catch can fix this. Some of the S2000 cars can emit a “buzzing” noise while decelerating, this can be fixed but will not cause any damage if left alone. Next on our list is the Ford SVT Mustang Cobra. Although not identified as a sports car, it’s not a muscle car either. The Mustang is a mixed breed between both, called a pony car. The Mustang Cobra was considered the top of the line Mustang above the GT and Mach 1 Mustangs during its era which ended in 2004. The Mustang Cobra not only had more than enough power to put down respectable numbers in the quarter mile, 13.2 seconds @ 106mph, but they had pretty good cornering ability too. Throwing a bit of cash into the suspension and a couple of other parts, you could have yourself a very respectable track car and very fun daily driver. With the V-8 putting out more than my wife with 320hp and 317 ft-lbs, this 3380lb piece of American metal can launch from 0 to 60mph in 5.4 seconds. That’s faster than half of the cars on the Best Used Sports Cars chart. 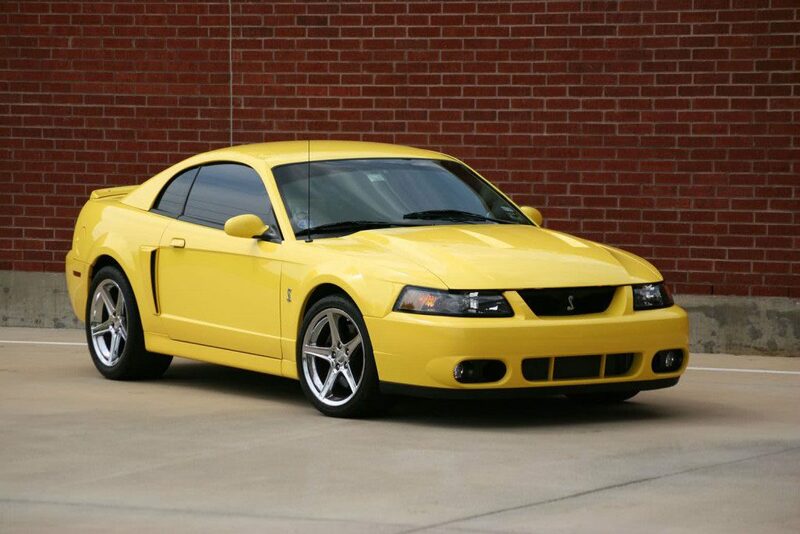 With the 1999 to 2002 Mustang Cobras averaging at only $7341 from past sales on eBay, that leaves a lot of wiggle room for handling and other upgrades assuming your budget is $10,000. This is a great buy at this price, not as great on the track as some of the others but with a little know-how and the right upgrades, it can turn into a great track beast. Some of these cobras have been known to have a tick from the engine, it gets louder with rpm so take it for a test drive and listen for it. Look at the end of the blower drive snout, in the center of the pulley, if there is any form of a dot in the middle of the shaft, it has probably had a pulley mod done and could indicate the car was either raced, beat on or both. The Porsche Boxster made its debut in 1993 at the North American International Autoshow. The first production model was released in 1996. The Boxster is credited for saving Porsche, which during the early 90s had been suffering from an aging product range and falling sales. The first of the rear-engine water-cooled Porsches, the Boxster went through numerous changes throughout the years but the one to get is the 2003 Porsche Boxster S with the 3.2L. The reasons behind this are Porsche has now had 7 years to work out the bugs from earlier models and this is the highest powered Boxster for under 10k. Although rare, if you’re patient enough you can still get these Boxsters for under $10,000 as seen on eBay. Any of the Boxsters would be great cars to get for under 10k. If you want the best bang for your buck go for a 2003 Boxster S with the 3.2L as it outputs the most power at 258hp and 228 ft-lbs of torque. Able to hit 60 miles an hour in 5.5 seconds and tears down the strip in a respectable 14.4 seconds at 99mph. Having the second-best power to weight ratio on the Best Used Sports Cars chart, just behind the Subaru WRX STI, this would be a great sports car to add to your shortlist. Being a rear-engined car, that could either be a pro or con depending on your preference. If you’re the competitive type it would be a good thing. The weight of the engine helps keep the rear end planted as the Boxster doesn’t have enough torque to throw the back-end out but still having plenty of power be competitive on the track. With a near perfect 50/50 weight distribution and finely tuned suspension, this is an amazing handling car and great for the track. If you’re not very competitive and enjoy having fun behind the wheel this can be negative as it can be pretty cumbersome to drift around a corner. All-in-all though this is a very well designed car. 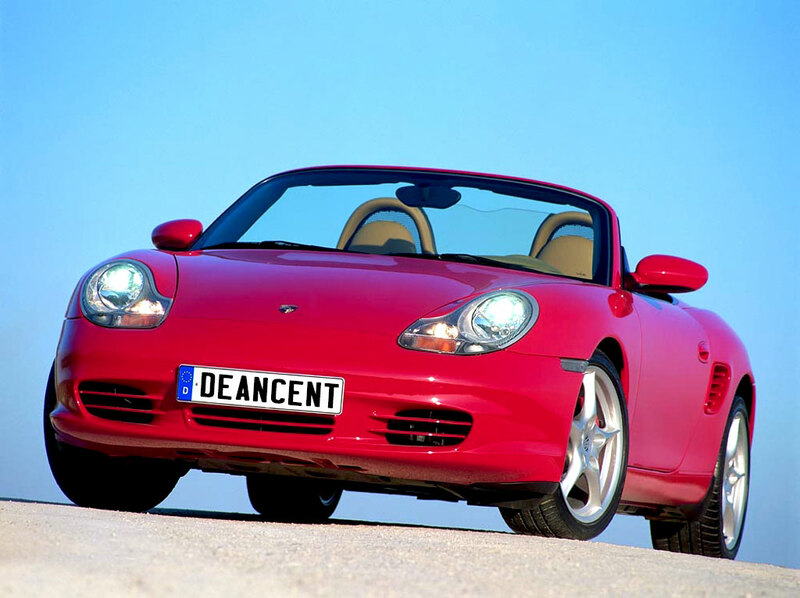 With its high reliability, high fun factory and under 10k price tag this Boxster is a bargain. The Boxsters are known to have water pump failures. This one would be obvious if the pump has already failed as the car would be overheating. If the car isn’t overheating still check around the water pump on the engine for any noticeable signs of coolant leaking. If it is leaking factor in about $500-$1000 for a garage to replace this. Power window regulators are known to fail after dust and grime getting into the mechanism over-time. About $100 and 1 to 4 hours of labor to replace. Not nearly as important but can be annoying, the keyless entry for the trunk and hood could stop working. This is likely due to stretched cables and could be used to your advantage to lock in a better price. First introduced on June 28th, 1966, code-named Panther, the Camaro was called ‘a small, vicious animal that eats Mustangs‘ by GM executives. Built to compete against the market-dominating Mustang of the time, the Camaro is also mostly considered a pony car with some variations tipping into the muscle car arena. The Camaro has made it onto the Best Used Sports Cars list because of its great power to weight ratio and excellent handling ability. The Camaro we’ll be focusing on is the 2001 – 2002 Camaro Z/28. I know, I know, this is arguably the second ugliest Camaro out there next to the 80s catastrophe but it’s not all about looks, it’s about ‘more power!‘. You can pick up an ’01-’02 Z/28 for nearly $2000 less on average than a Corvette C5 as seen on eBay and they share the same LS1 engine. Same block, same internals, same heads, same tune. The Camaro SS is very similar to the z/28 with the biggest difference being the SS badging and the SS costs more. 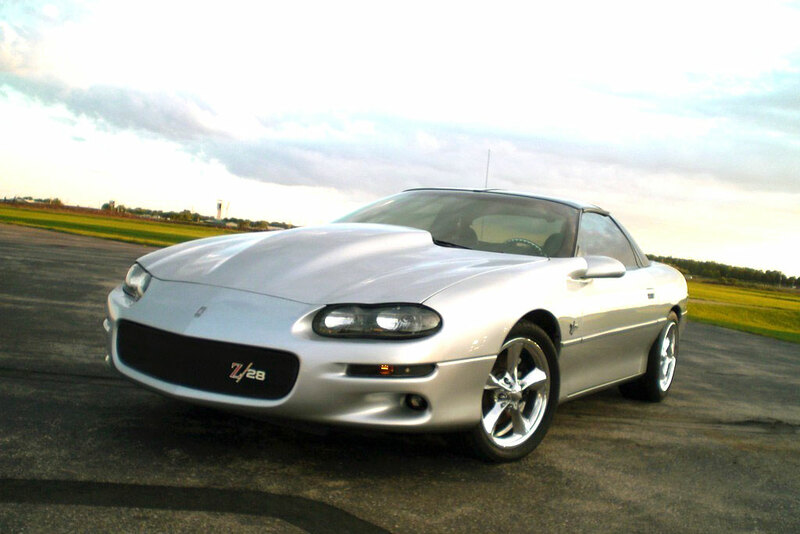 The LS1 was first found in the 1998 Camaro, but with the upgrades that came in 2001+ model years, they are the better bargain. 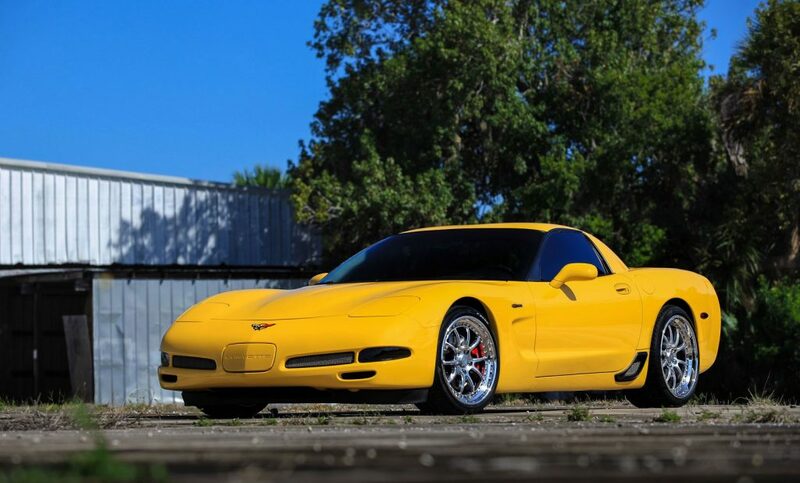 The biggest difference between the Corvette and Camaro engine-wise was the intake, throttle body and exhaust, the C5 had a true dual exhaust. Despite the differences, they both were still 350hp motors even though GM claimed the Camaro had only 310hp. GM just couldn’t have a $19,000 cheaper (when both were new) car dethroning their Corvette so they underrated the Camaro to justify the price difference. The torque of the Camaro is rated at 340 ft-lbs but it’s most likely underrated and realistically 375 ft-lbs like that of the Corvette as well. Being a 200 pound heavier car than the Corvette at 3411lbs and not as streamlined, the Camaro can still achieve great numbers at the strip. With a 0-60mph time of 5.19 seconds and a 1/4 mile time of 13.49 seconds @ 107.3mph, with those numbers it’s hot on the heels of the Corvette. The suspension is known to be from a large boat but with a bit cash into a good coil-over setup you’ll be hugging the corners in no time. So with the cat out of the bag or should I say, Panther? Would you opt for the 2-seater Corvette or would you bring the fam with you and go for the 4 seater Camaro? Either option you’re bound to have endless amounts of fun and win some races while you’re at it. The rear end could be bad, listen for a whine coming from the back of the car, could need replacing and likely won’t be cheap. Power window motors can fail, under $50 for the part and 1 to 5 hours labor depending on your ability. T-top roof panel, especially black painted ones are known to bubble. Only fix is to replace with after-market as GM no longer stocks these. 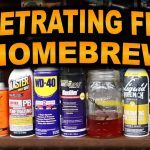 If you do decide to purchase a used sports car or maybe you already have an older vehicle at home that you work on, check out our Penetrating Oil Nut Breaker DIY where we show you how to make your own penetrating oil at home that kicks the crap out of Liquid Wrench, PB Blaster and WD-40. What car would you go with and why? For myself, even though the Corvette got the best bang for buck rating I would personally go with the BMW M3 as it’s an all around great car and has a back seat for the kiddies, my second choice is a toss-up between the Audi and Corvette.